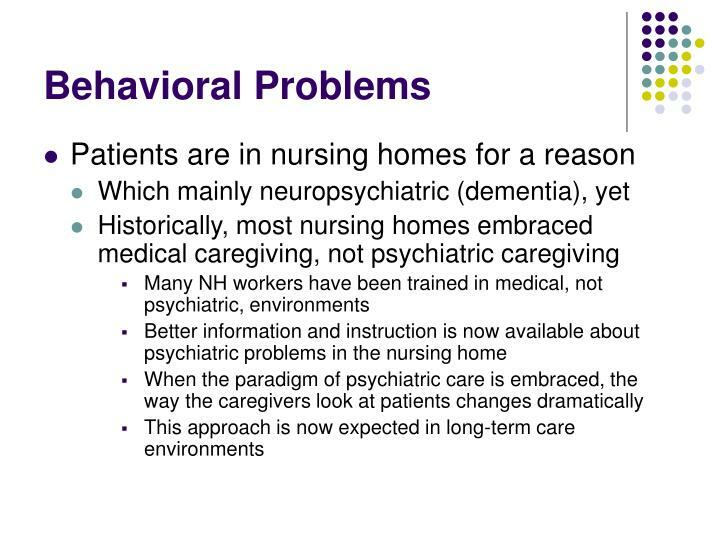 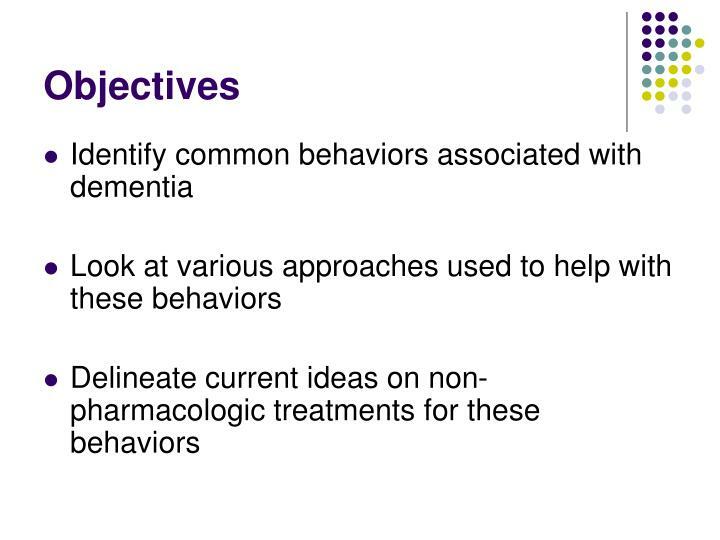 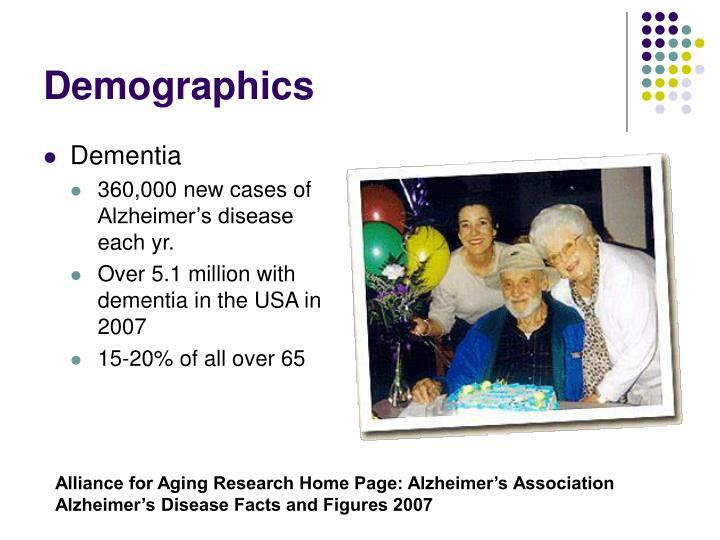 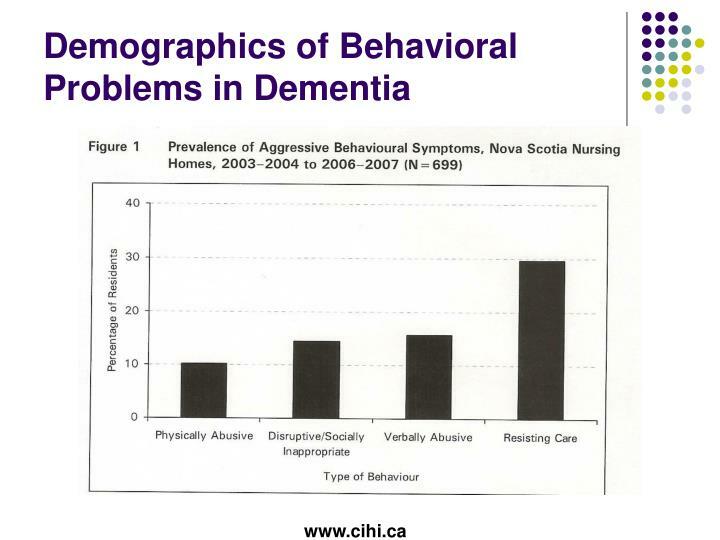 360,000 new cases of Alzheimer’s disease each yr.
What makes a behavior a problem? 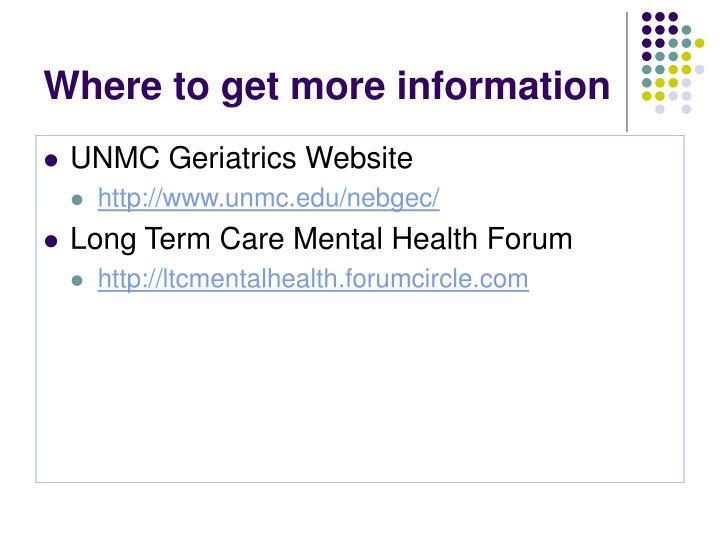 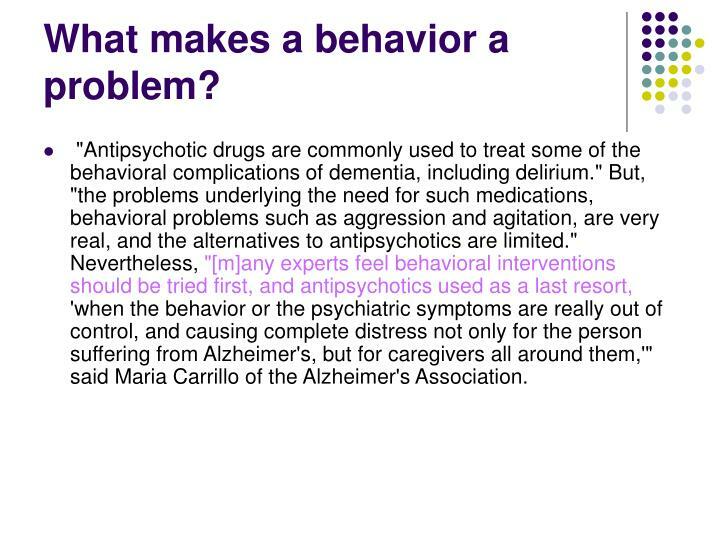 "Antipsychotic drugs are commonly used to treat some of the behavioral complications of dementia, including delirium." 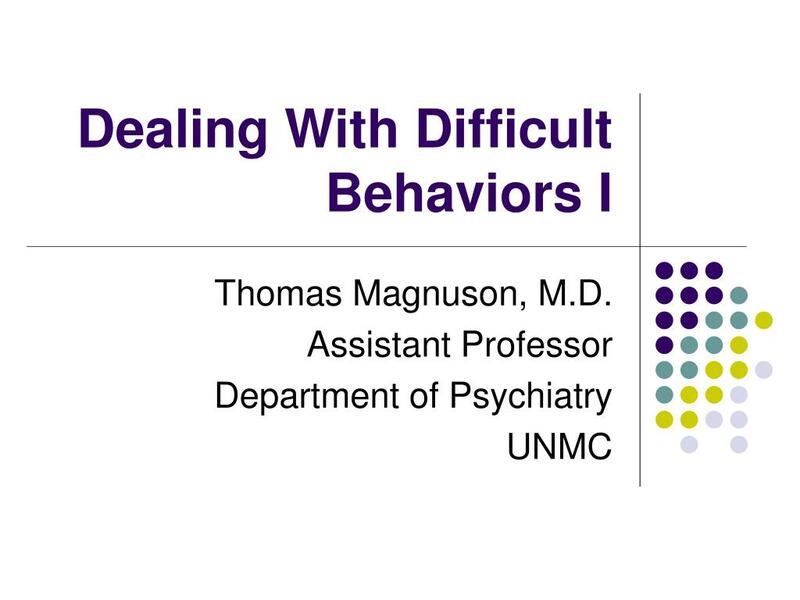 But, "the problems underlying the need for such medications, behavioral problems such as aggression and agitation, are very real, and the alternatives to antipsychotics are limited." 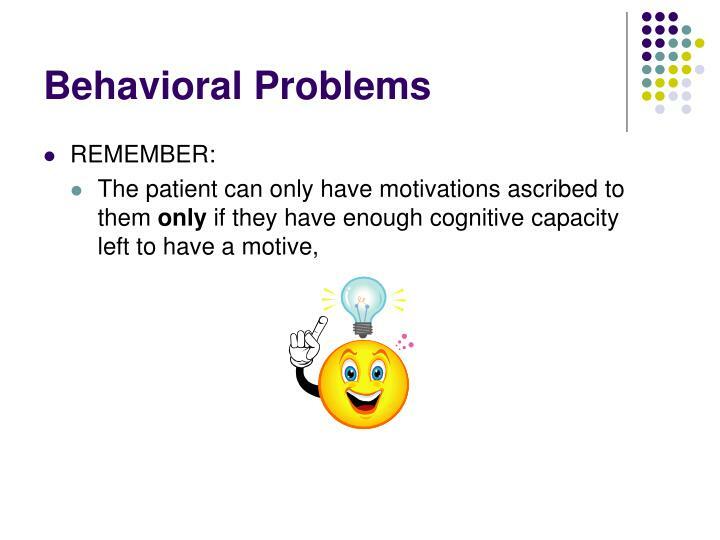 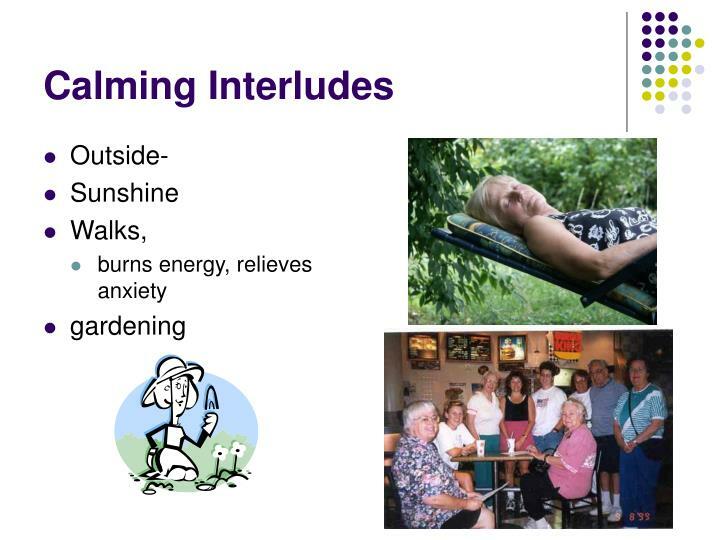 Nevertheless, "[m]any experts feel behavioral interventions should be tried first, and antipsychotics used as a last resort, 'when the behavior or the psychiatric symptoms are really out of control, and causing complete distress not only for the person suffering from Alzheimer's, but for caregivers all around them,'" said Maria Carrillo of the Alzheimer's Association. 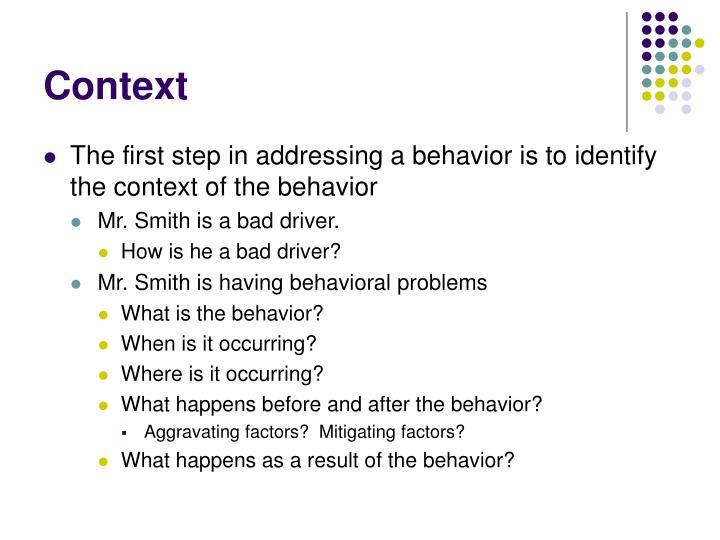 Mr. Smith is a bad driver. 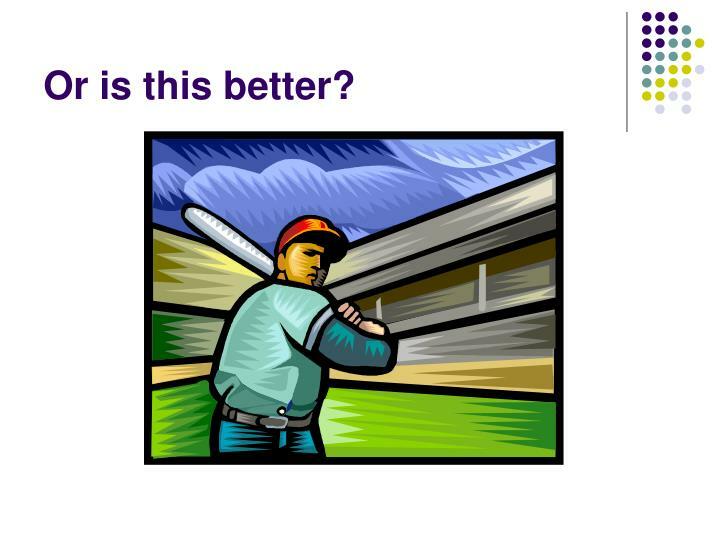 How is he a bad driver? 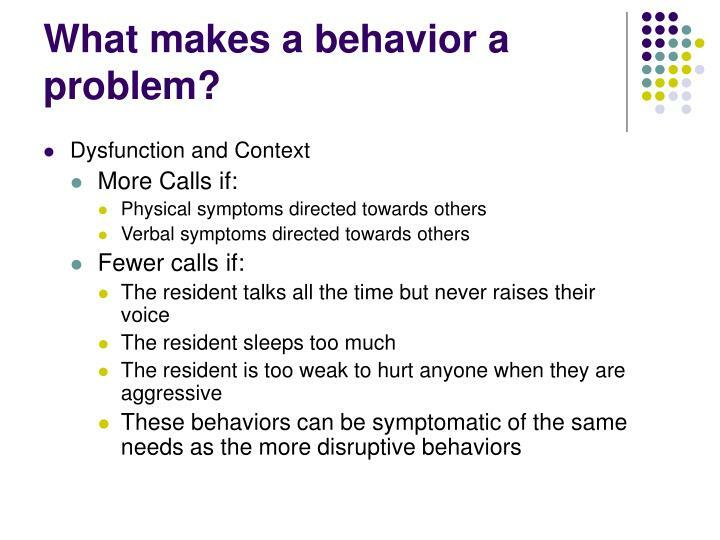 What happens before and after the behavior? 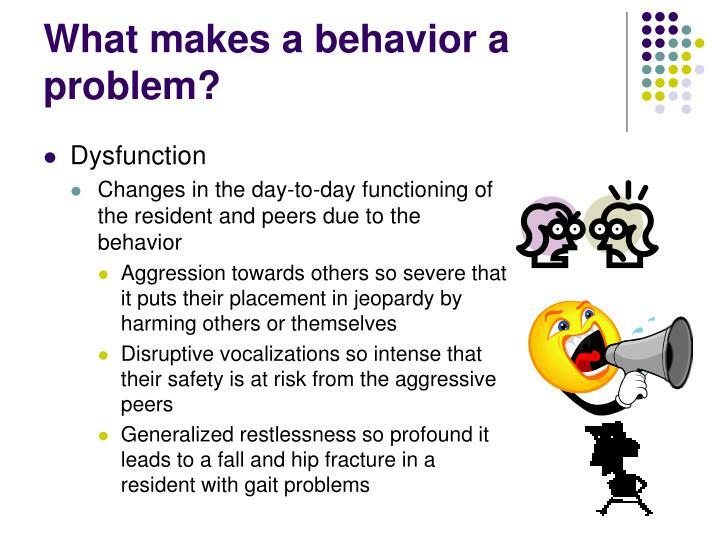 What happens as a result of the behavior? 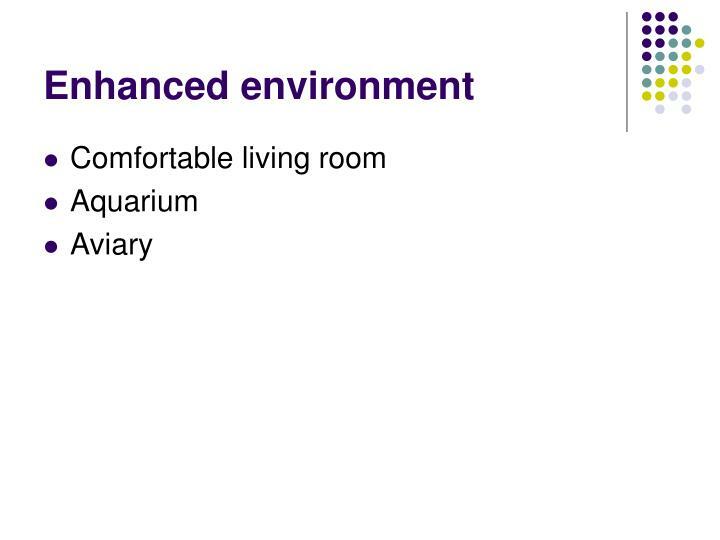 Beginning last night or been there since they moved in six months ago? 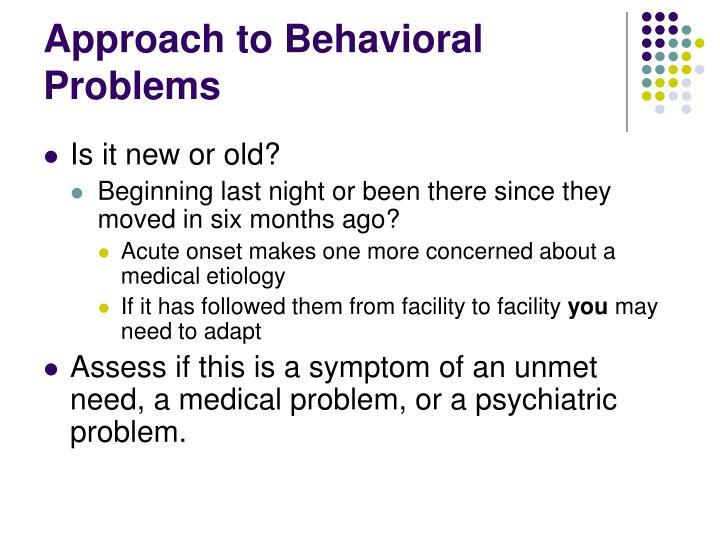 Assess if this is a symptom of an unmet need, a medical problem, or a psychiatric problem. 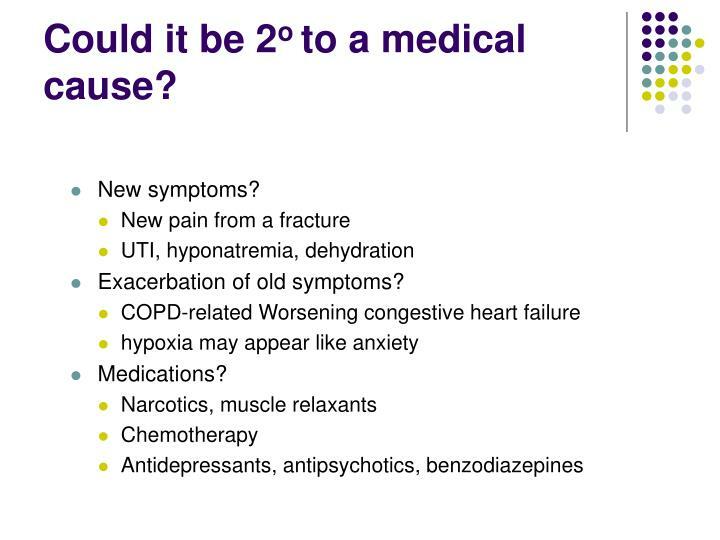 Could it be 2o to a medical cause? 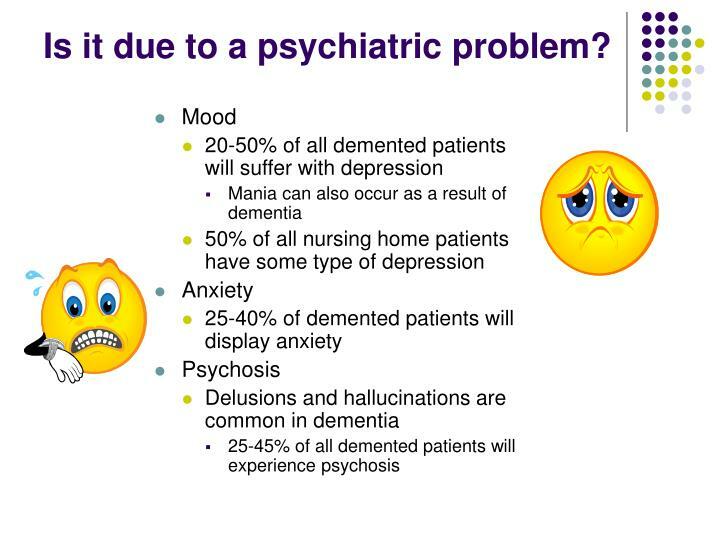 Is it due to a psychiatric problem? 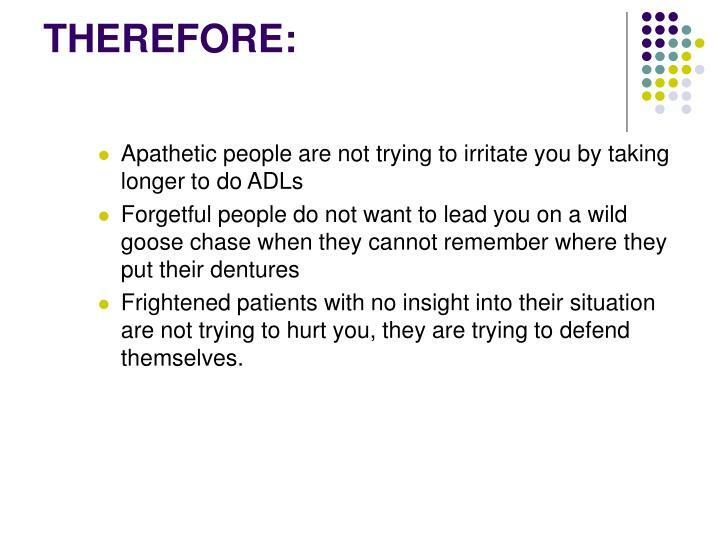 Frightened patients with no insight into their situation are not trying to hurt you, they are trying to defend themselves. 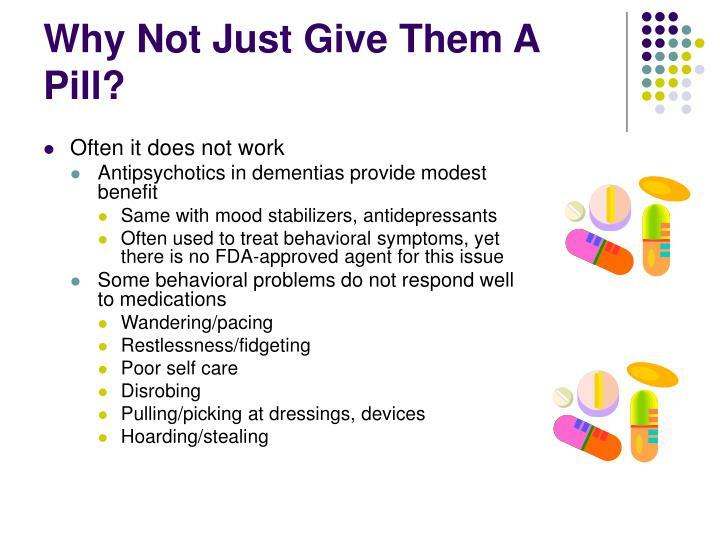 Why Not Just Give Them A Pill? 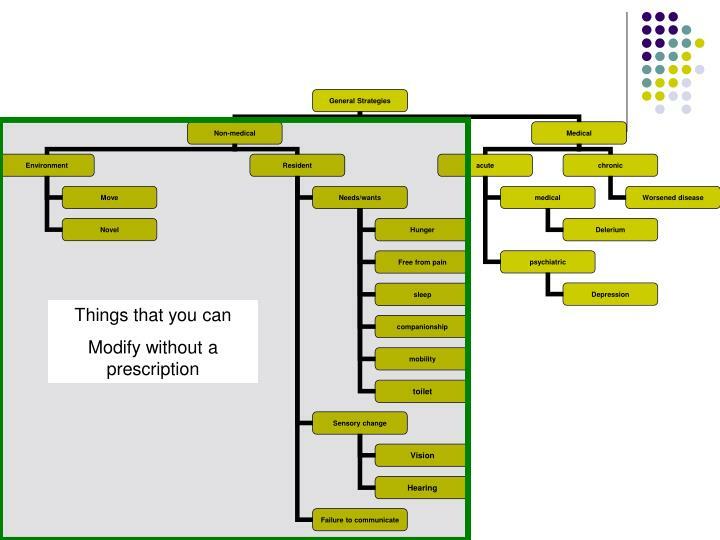 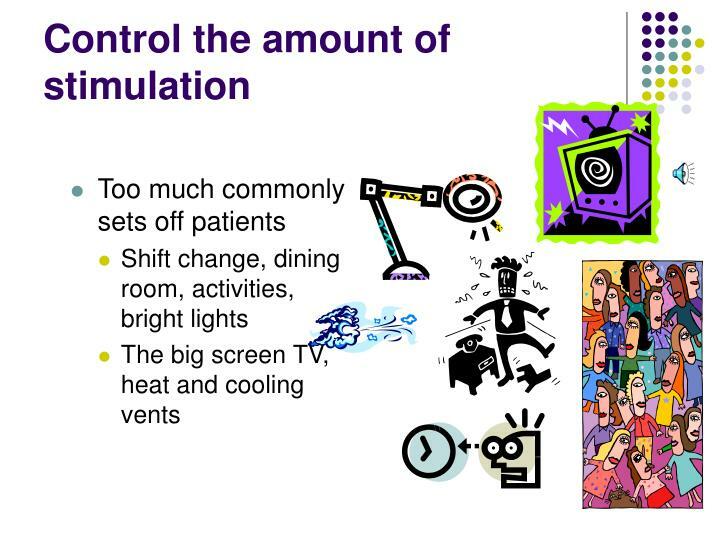 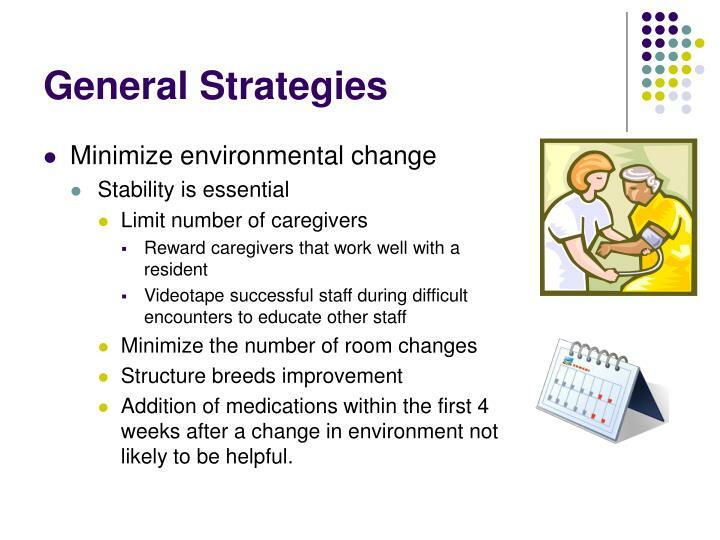 Addition of medications within the first 4 weeks after a change in environment not likely to be helpful. 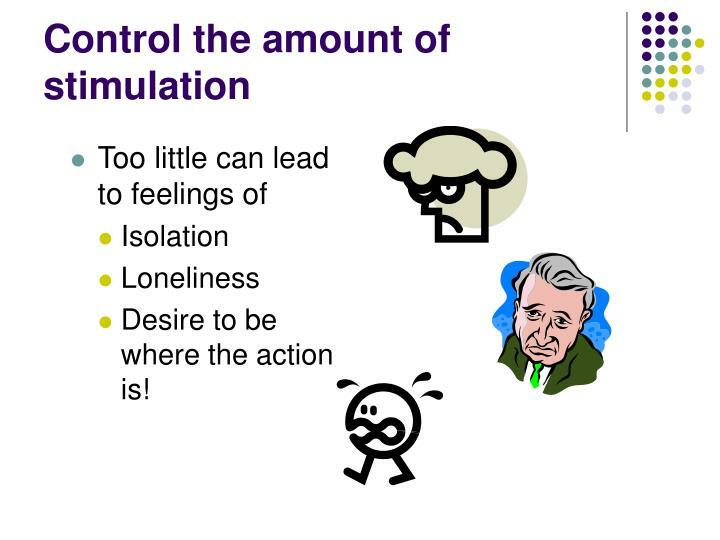 Desire to be where the action is! 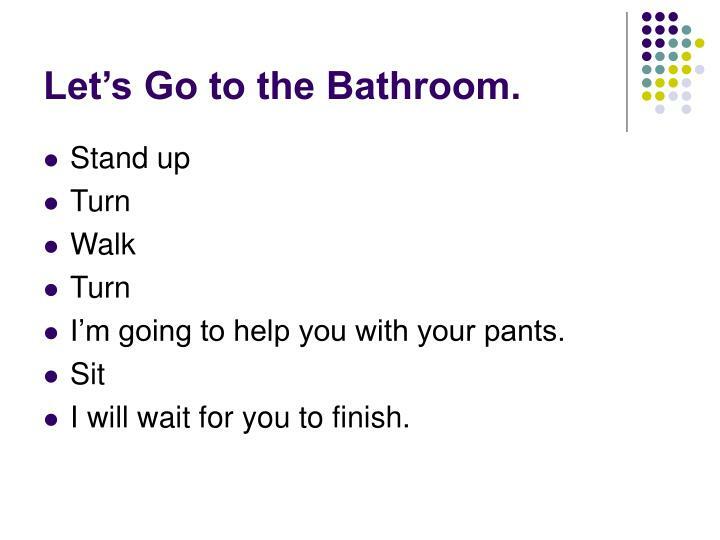 I’m going to help you with your pants. 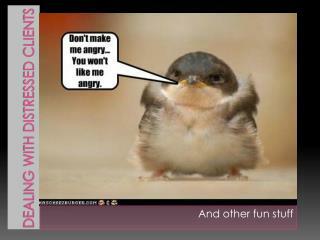 I will wait for you to finish. 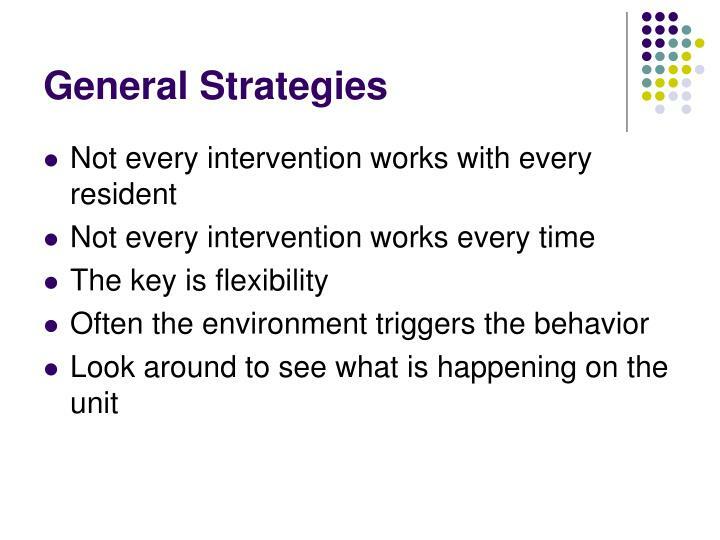 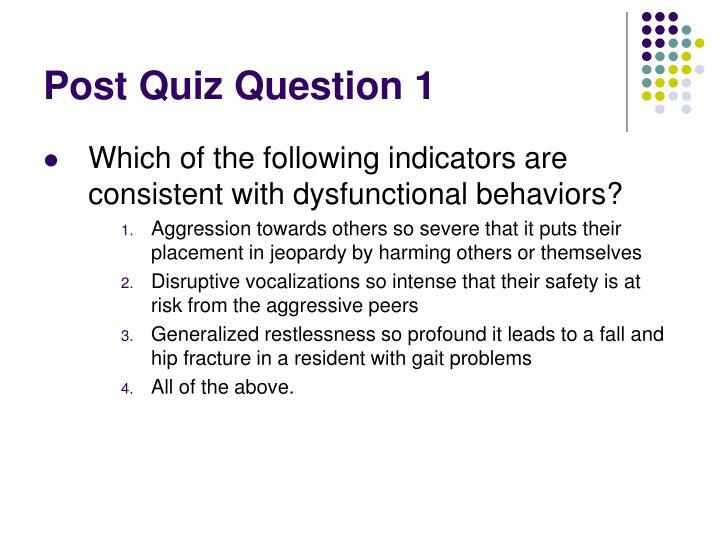 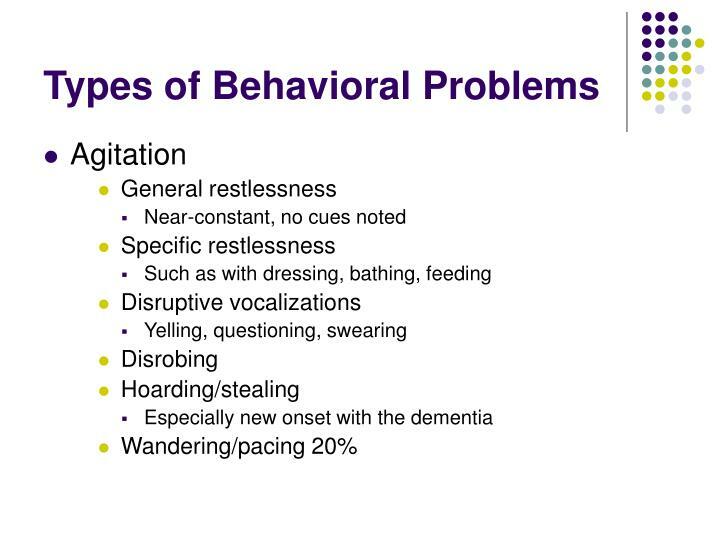 Which of the following indicators are consistent with dysfunctional behaviors? 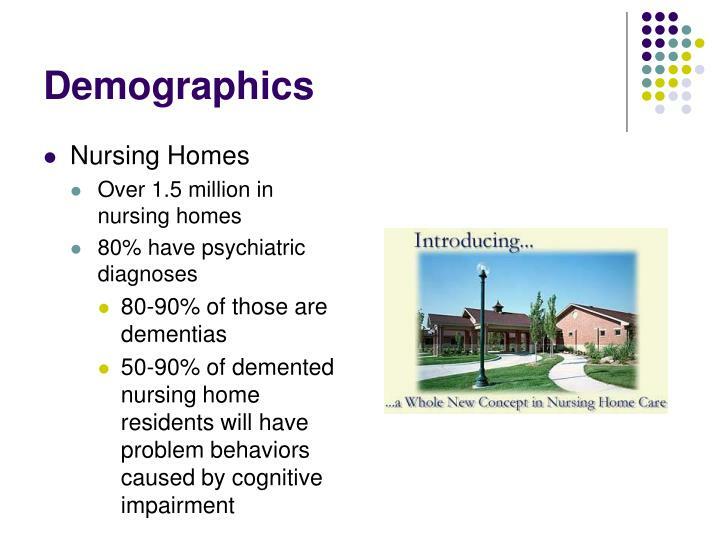 Which of the following regarding nursing home nurses? 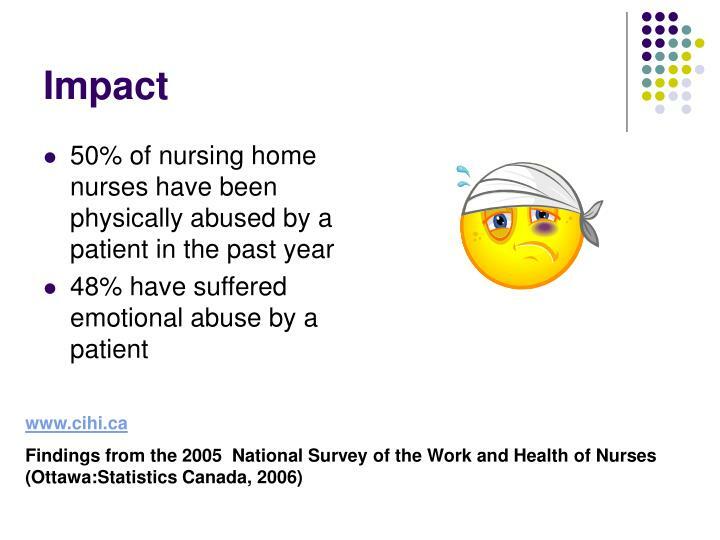 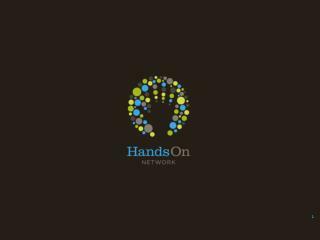 50% have been physically abused by a patient in the past year. 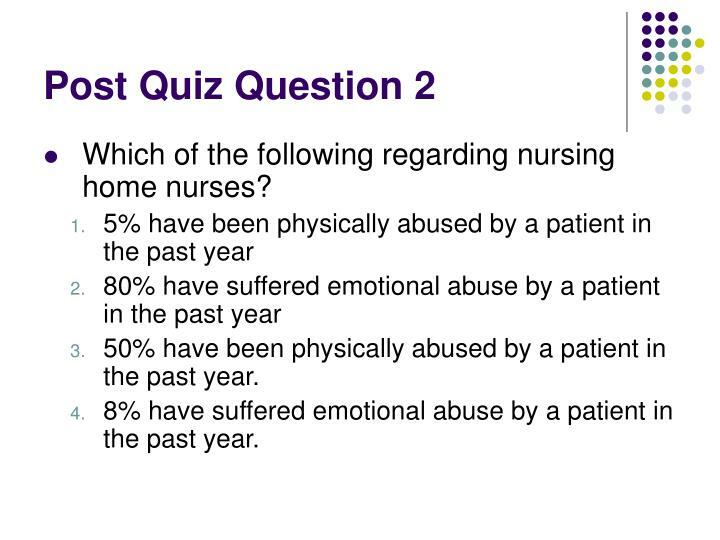 8% have suffered emotional abuse by a patient in the past year. 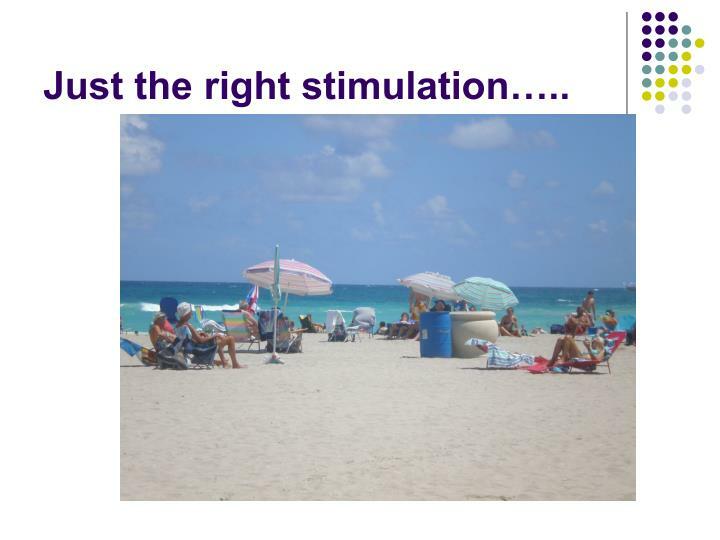 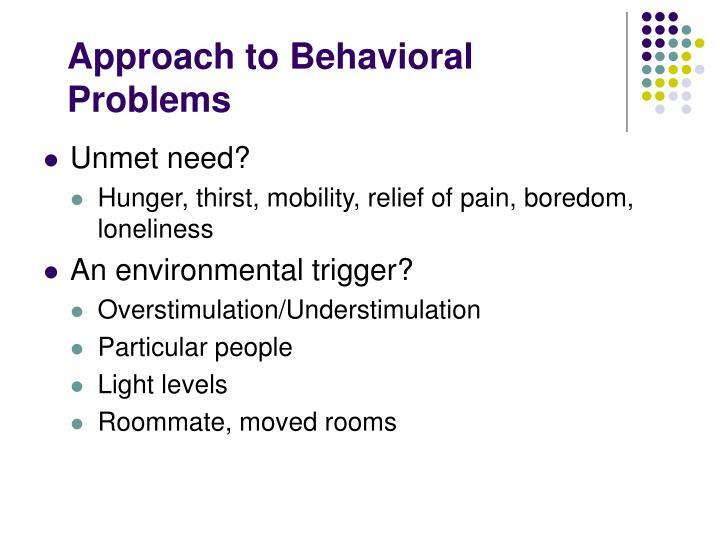 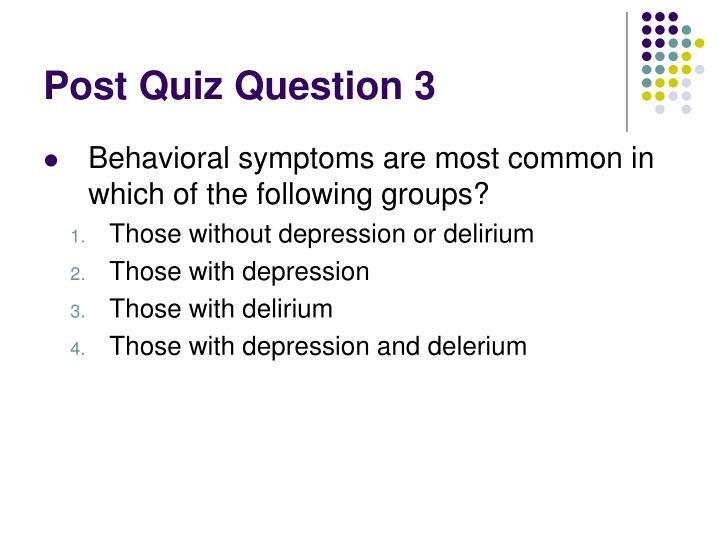 Behavioral symptoms are most common in which of the following groups? 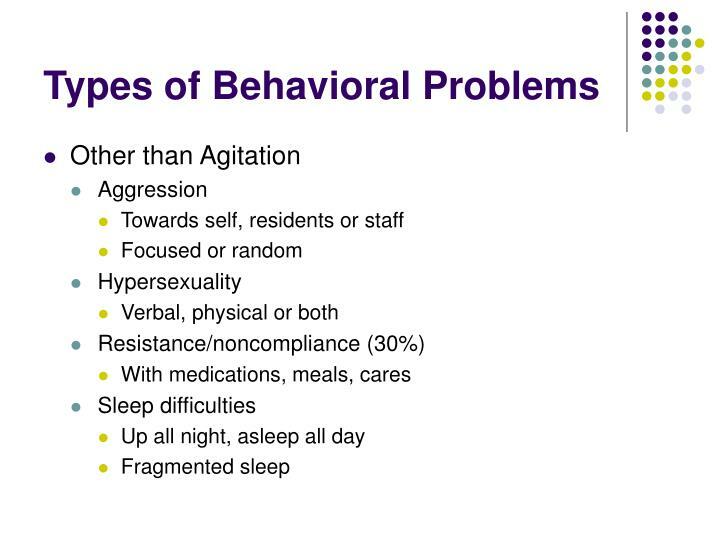 Which of the following is associated with increased aggression? 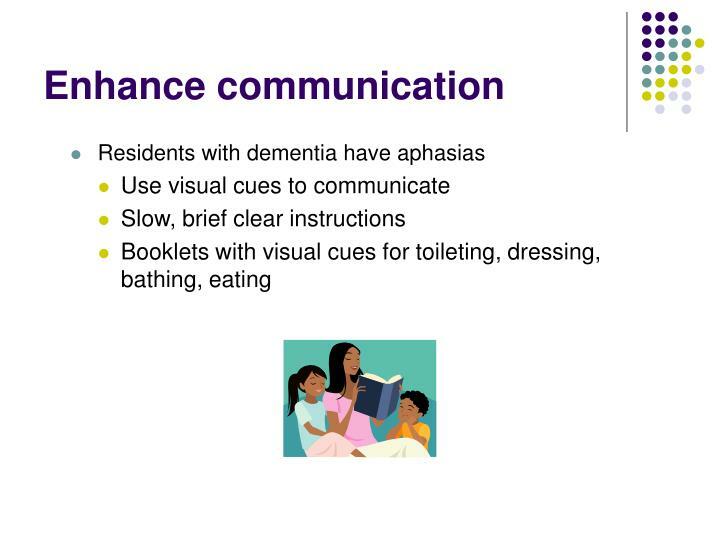 You can enhance communication with which of the following techniques? 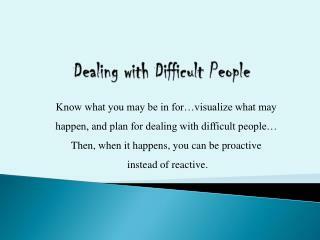 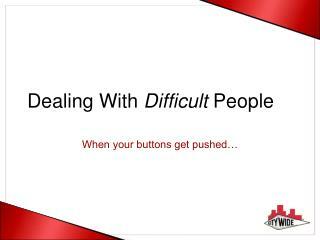 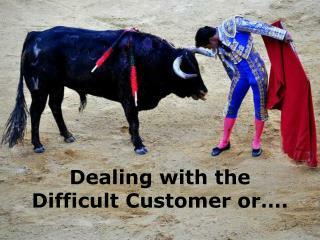 Dealing with the Difficult Caller -. 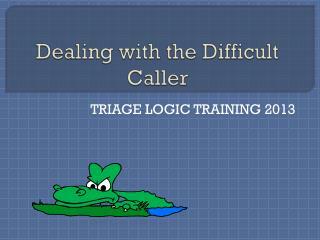 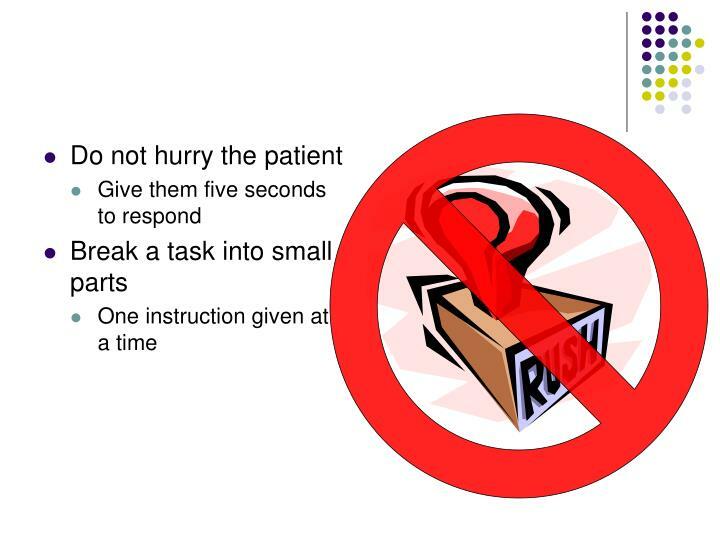 triage logic training 2013. 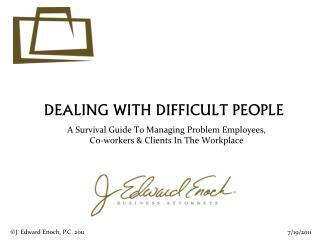 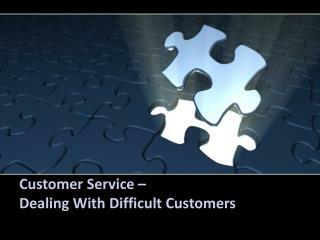 Dealing With Difficult Volunteers -. 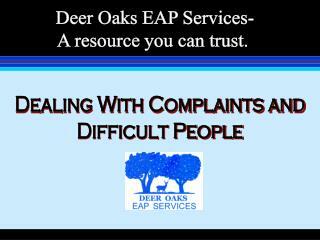 sometimes volunteers behave inappropriately although confronting volunteers can be difficult, it is necessary for the good of your program, problems must be addressed. 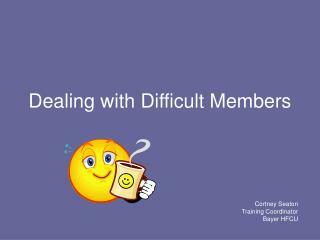 dealing with difficult volunteers. 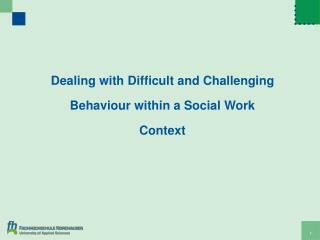 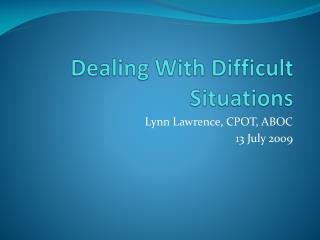 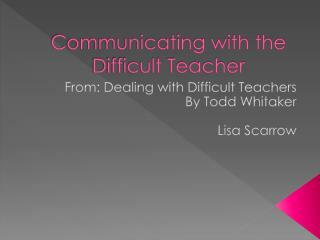 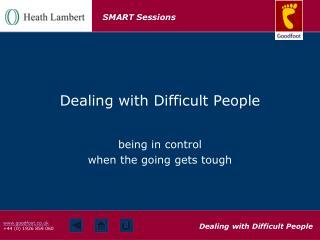 Dealing with Difficult and Challenging Behaviour within a S ocial W ork Context -. 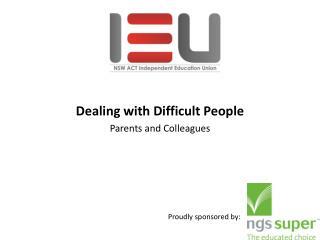 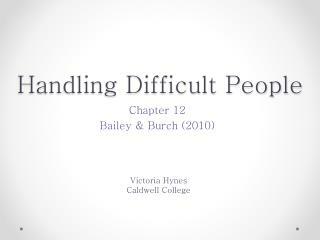 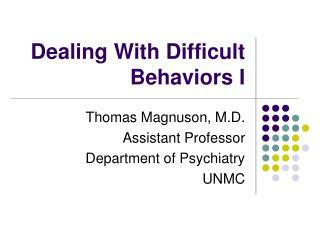 difficult and challenging behaviour 1. professional skills 2. definition of difficult behaviour 3. examples 3.1 identification 3.2 reasons 3.3 effects 4. 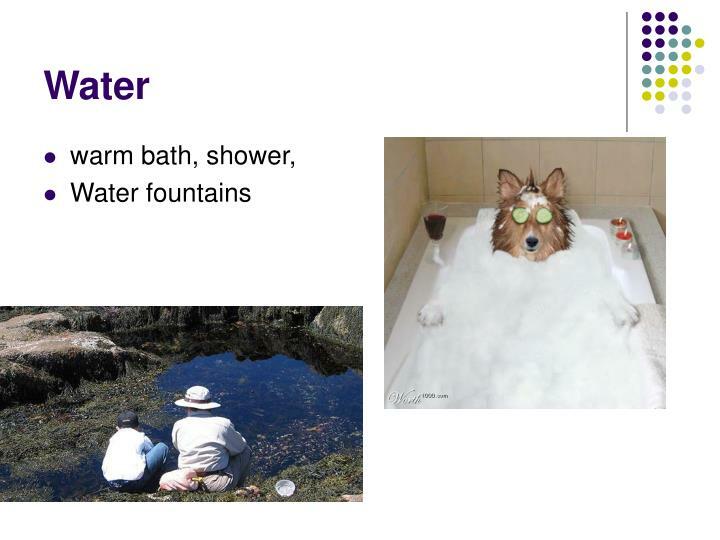 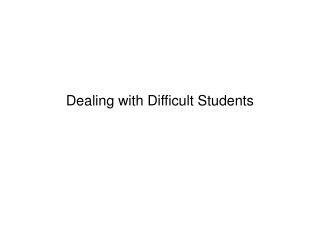 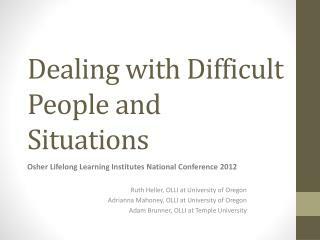 New Solutions to Repetitive Old Problems … ‘Dealing With Difficult People’ Fourth Annual University of Leeds Learning & -Amp;amp; teaching conference. 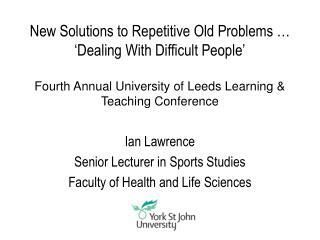 ian lawrence senior lecturer in sports studies faculty of health and life sciences. 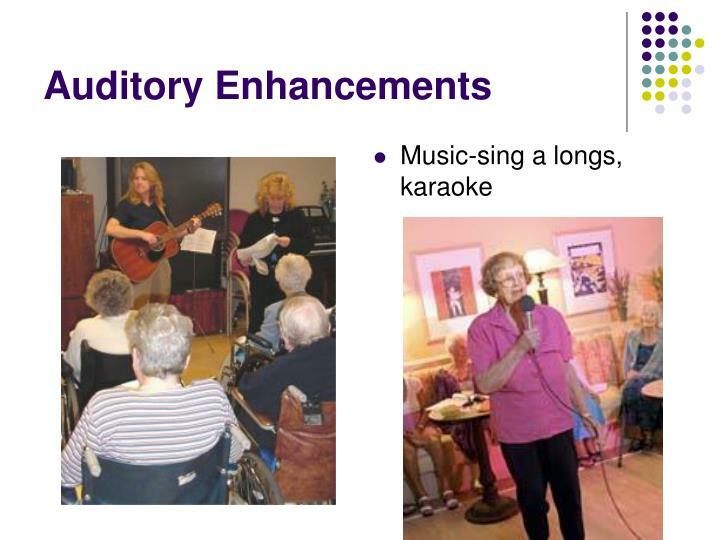 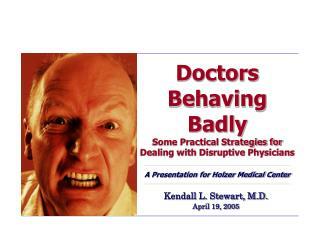 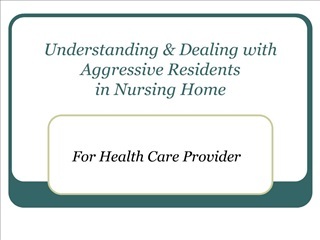 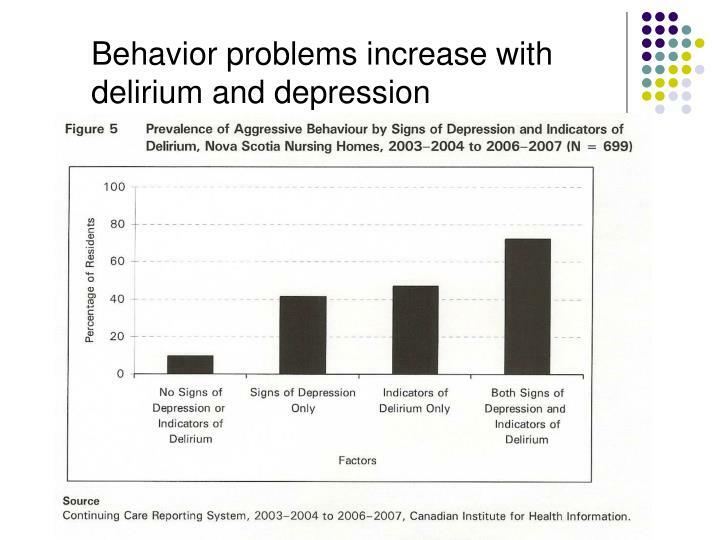 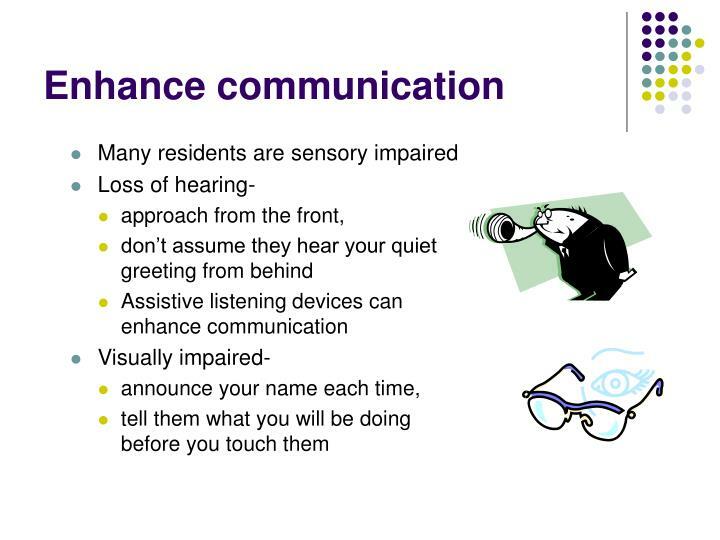 understanding dealing with aggressive residents in nursing home -Contents:. 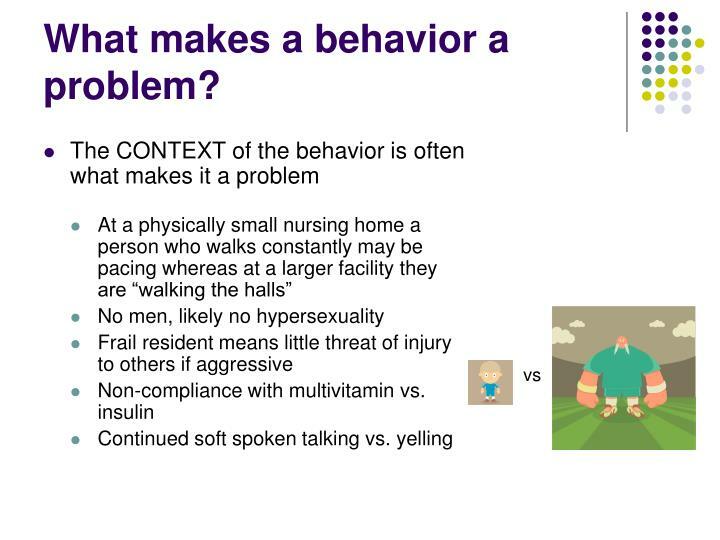 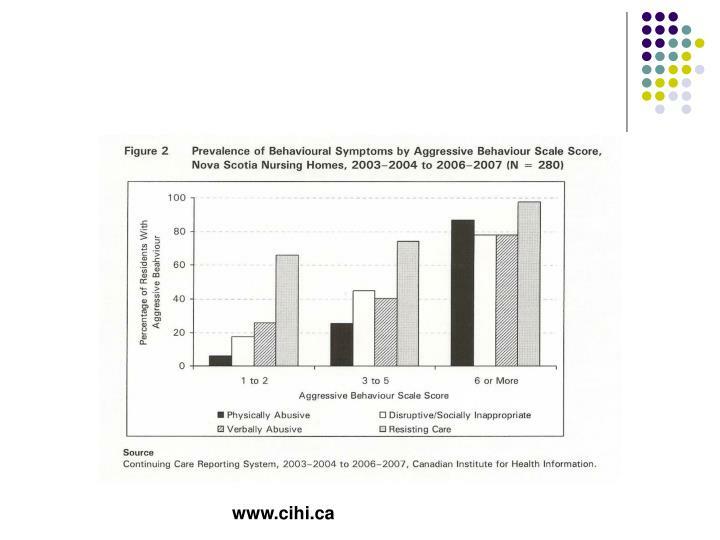 understanding a resident with aggressive behaviorsaggressive behaviors in nursing homecauses of aggressive behaviorsthe 19 tips to deal with aggressive behaviors.